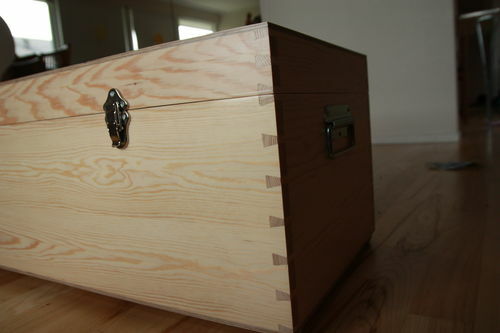 At school we had to make a toolbox and an intarsia-project, so I made the big box for myself and the small one for my son with intarsia on the top. I really got to practice dovetails on these boxes and it feels like I’m getting the technique. The big one is pinewood and the small one is oak and maple. What a beautiful set, what a lucky son! 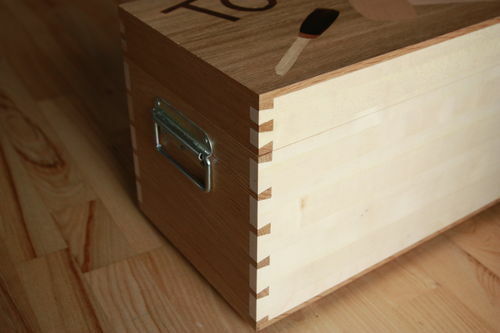 Really stands out and yes you sure got the hold of dovetails. very nice! looks like you’re well on your way to being a great craftsman!